DID you leave your No. [2012-12-09 23:01:26] <Ymgve> see something you recognize? [2012-12-10 01:06:48] <Adah> What's this from? [2012-12-10 01:16:27] <Lurker69> how did you find that encoding ymgve? [2012-12-10 01:18:15] <nadando> why are all those extra characters in there? <crash_demons> Q: if it's just mixed-up VOIP packets, why are there duplicates received? <Lurker69> are both messages the same? 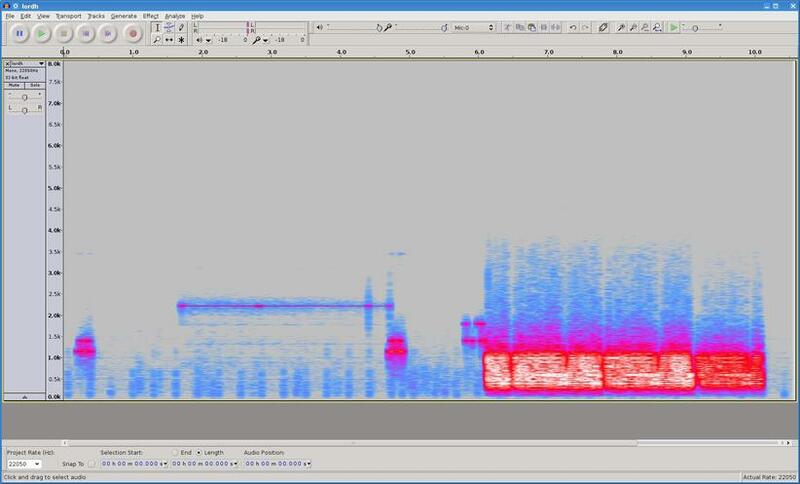 <crash_demons> uploading spectrogram with marking. <AluisioASG> Are you guys thinking the new scrambled is just a recording being sliced and these slices being shuffled? * Notify: Baph is offline (FreeNode). With arrows i marked samples that might be the same but seem distorted. Cached 2019-04-17 06:21:38. This page was last modified on March 8, 2015, at 13:03.